Hickok's boat livery is located across the road from the campground on Route 30 and is located on lower Fish Creek Pond, an easy boat access from Fish Creek Pond, just past the bridge under Route 30. 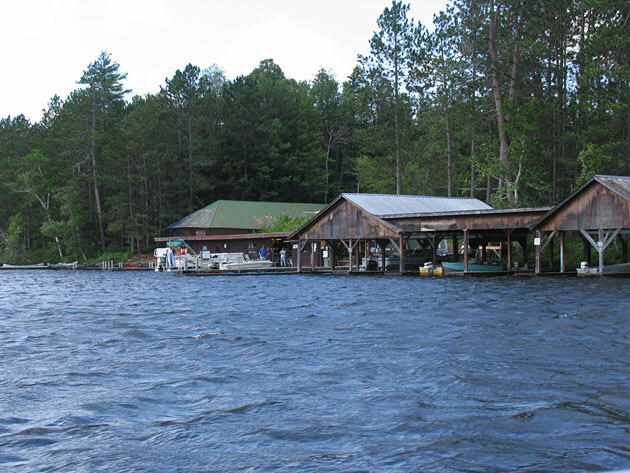 Hickok's offer canoe, kayak and motor boat rentals, a fully stock store for marine and fish supplies, bait, ice, fishing licenses and gas pumps on the docks. The marina is owned by Carolyn and Robert Hickok. 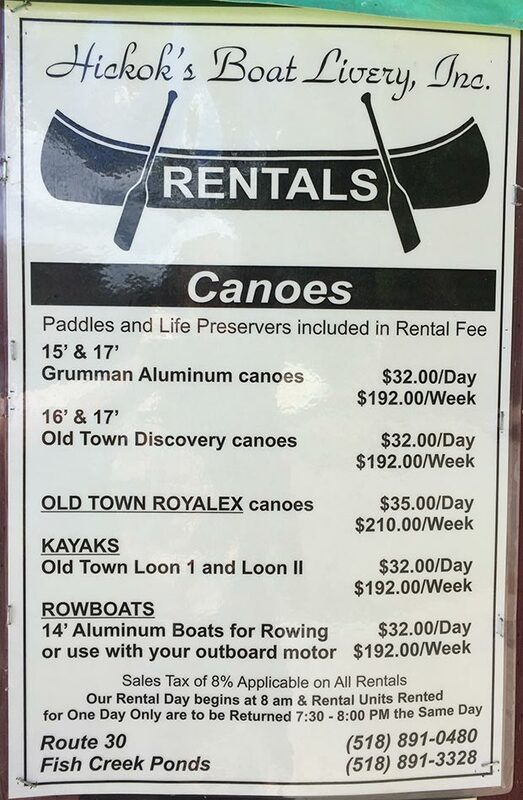 2016 Rates: $32 per day, or $192 per week, for either canoes or kayaks. 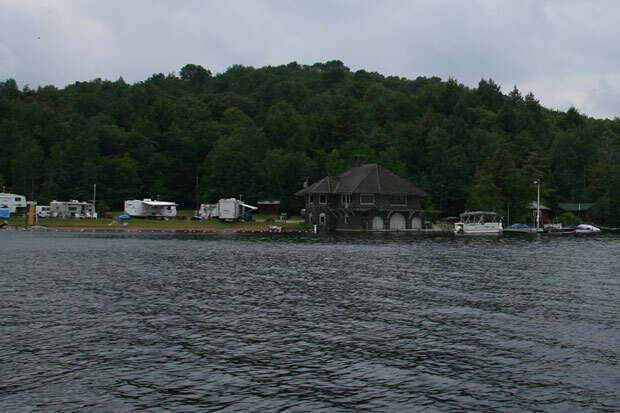 In case Hickok's is closed, and you are out on the water, you can still get gas for your boat 24 hours a day at Donaldson's dock at the campground on Upper Saranac. The pump here is self-serve and accepts credit cards. (pump is on the dock to the right of the old building below. 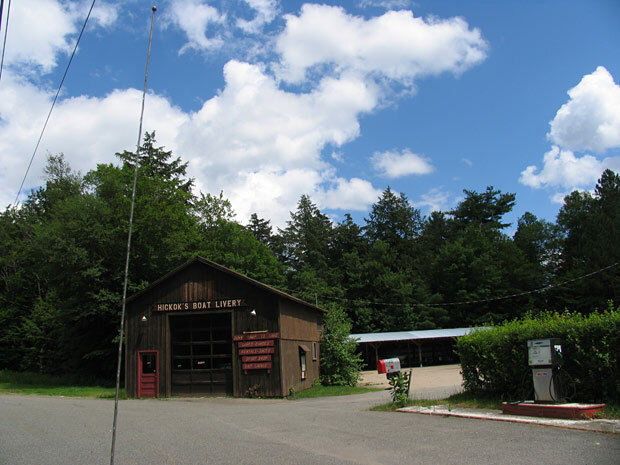 Gas for your motor boats may also be obtained at the Trading Post on Route 30, just outside the park.